Amazon has released a series of teasers for its Super Bowl commercial, introducing something called “Amazon Beta Testing Program”. 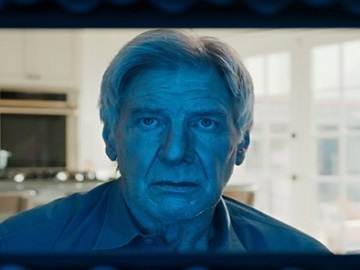 The 10-second spots feature Ilana Glazer and Abbi Jacobson (creators of and actresses starring in the Comedy Central series “Broad City”), actor Harrison Ford, actor Forest Whitaker, and twin astronauts Scott and Mark Kelly reacting to Alexa welcoming them to the Amazon Beta Testing Program. Their reactions are, as expected, very different. While Ilana and Abbi ask “What the f…?” Ford, with an exasperated look on his face, says “I hate this already,” Whitaker’s reply is “Weird,” and the Kelly brothers say “Hello”. An onscreen line featuring the date of the Big Game informs that the full ads will be released only then.